Sundays on St. Croix may be made for Sandy Point, but if there’s a very close second, it must be setting sail for Buck Island with Captain Carl and settling in for a sensational day on the sands of this other pristine National Park. Wish you were here? You’re reading Soaking in a Sunny Sunday on Buck Island, St. Croix from Uncommon Caribbean – The Insider’s Caribbean Travel Blog. If you’ve enjoyed this post, be sure to follow Uncommon Caribbean on Facebook, Twitter, and Google+. 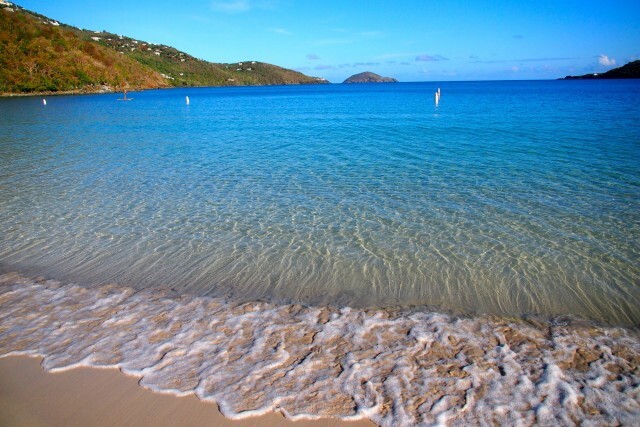 You’re reading Uncommon Attraction: Outer Brass Island, St. Thomas from Uncommon Caribbean – The Insider’s Caribbean Travel Blog. If you’ve enjoyed this post, be sure to follow Uncommon Caribbean on Facebook, Twitter, and Google+. That Pigeon Island is not the prime natural attraction in St. Lucia really speaks volumes about the beauty of the island. There’s no shame in playing second fiddle to the Pitons, of course, especially when you’ve got so many positive attributes in your own right. Like Dominica’s iconic tombolos, Pigeon Island stopped being an island unto itself years ago. Unlike Scotts Head and the Cabrits, though, the union of land masses did not occur naturally here. A man-made land bridge was constructed in 1972 from sediment excavated from nearby Rodney Bay. Access, therefore, is quite easy, which is a good thing considering all there is to discover here. 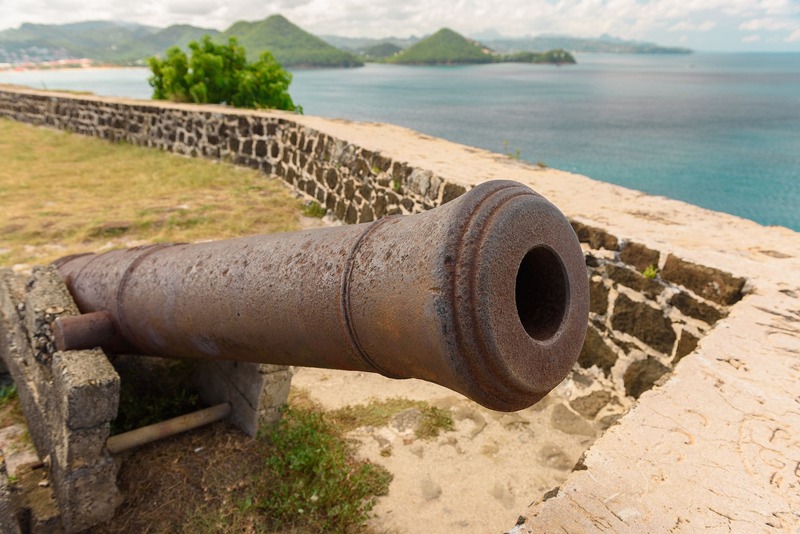 Strategically positioned with an excellent view of Martinique, Pigeon Island was a natural spot for British fortifications during the oft-contentious colonial period. Among them, Fort Rodney (est. 1778), is worth the hike up a well-marked path to an elevation of 225 feet and the view at the head of this post. From here, the wide path lines down and up to the summit of Signal Peak (elev. 330 feet), the highest point of Pigeon Island. Here, even more fantastic views await, a nice reward for a hike that does get progressively more challenging as you approach the summit. All of this makes Pigeon Island a must for any uncommon trip to St. Lucia, but even if you’re more party person than adventurer you’ll want to make your way over here in late-April/early-May. That’s when the historic island plays host to the annual St. Lucia Jazz Festival, easily one of the Caribbean’s best parties of the year. *Lead photo credit: Flickr user and longtime UC fan + contributor, Hiral Gosalia. See more posts featuring Hiral’s great photos in St. John, St. Thomas, St. Kitts, Nevis and elsewhere here. You’re reading Uncommon Attraction: Pigeon Island, St. Lucia from Uncommon Caribbean – The Insider’s Caribbean Travel Blog. If you’ve enjoyed this post, be sure to follow Uncommon Caribbean on Facebook, Twitter, and Google+. If you have been following social media you would have seen all the pics that flooded the ‘interweb’ from the crazy last season on the ‘Rock’. 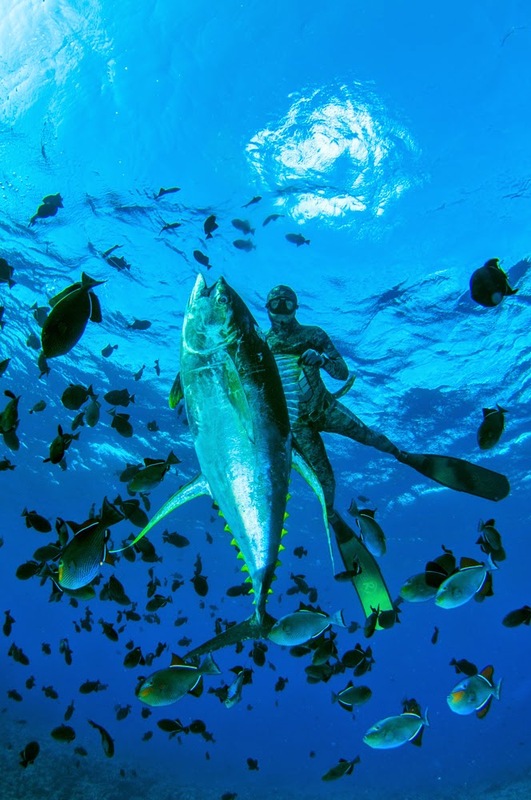 I was fortunate to follow MJK there to the island and spend days on end filming the most insane Yellowfin Tuna action I have ever seen. Oh and the 40-50m vis was not mind blowing at all either …. just saying. One of the outer islands of the Bahamas, Cat Island is a quiet vacation destination for those who are really looking to relax. Among its varied pleasures and activities, a little exploration will turn up a historical oddity or two that add to the individual character of the place. Beautiful beaches in natural settings welcome the nature lover and peace seeker alike. The Hermitage is a bit of an historical oddity, fascinating and strange. The hike up to see this religious site will take visitors through small villages along beautiful trails, full of island flora and fauna. It is located at the top of Mt. Alvernia, which is 206 feet above the sea and the highest point in the Bahamas. The Hermitage itself is made from the limestone of the cliffs, with each piece painstakingly extracted, shaped and set by hand by the Canadian mule-skinner turned Anglican turned Roman Catholic priest known as Father Jerome. The Father built the structure to scale, designed it to fit his rather diminutive form. Beloved by the island people, the priest passed away in 1956 after reaching the ripe age of 80. Other historical sites include an Arawak cave, found at Columbus point, and plantation ruins, left over from the islands efforts at joining the worlds cotton growers. Deveaux mansion was once the residence of Andrew Deveaux of the US Navy, who participated in the 1873 battles to get Nassau back from Spain. Another well known ruins is the remains of the Ambrister plantation, near Port Howe. For those interested in water sports, the Cat Island Dive Center is the place to contact. They operate out of the Greenwood Beach Resort and have a variety of diving and snorkeling packages available, and there are many fine areas to explore, offering a wealth of marine life and fascinating geological formations. They also have water sport equipment to rent. Cat Island is the sixth largest island in the Bahamas, and boasts extraordinary beaches. There are literally miles and miles of virtually undisturbed beaches, where swimming and relaxing can be done in near complete privacy. Fine meals can be had at several locations on Cat Island. Hawk’s Nest Resort and Marina serves a variety of dishes, but among the best are the fresh, grilled fish and the roasted rack of lamb. Fernandez Bay Village is the place to go for creative and delicious native dishes, served either in the dining room or a patio table by the beach. Greenwood Beach Resort’s Bahaman cuisine is complemented by their marvelous breads, which are baked every day. 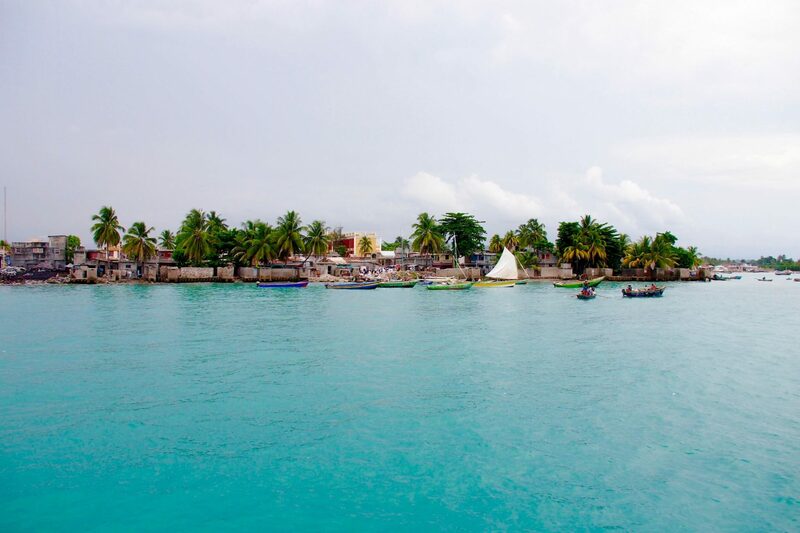 Cat Island is an excellent choice for vacationers who are seeking a natural beach experience, and enjoy a peaceful and very laid-back atmosphere. The island can be explored at a leisurely pace, which is a much better way to enjoy the local flora and fauna, as well as to enjoy the local culture. Because it is so much smaller in population than many of the other islands, it’s easier to get a real feel for the people and their way of life. Cat Island is an interesting place that will make a lasting impression on its guests.